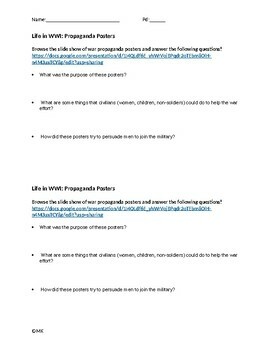 Included is a handout with link to Google Slides exploring World Wars propaganda posters. Students will browse examples and answer comprehension questions. 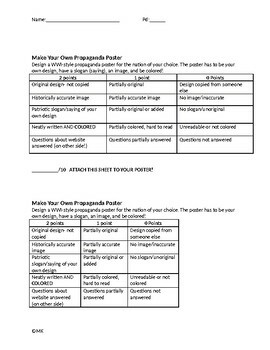 On the back of the handout is a rubric for students to create their own propaganda poster. Two per page.